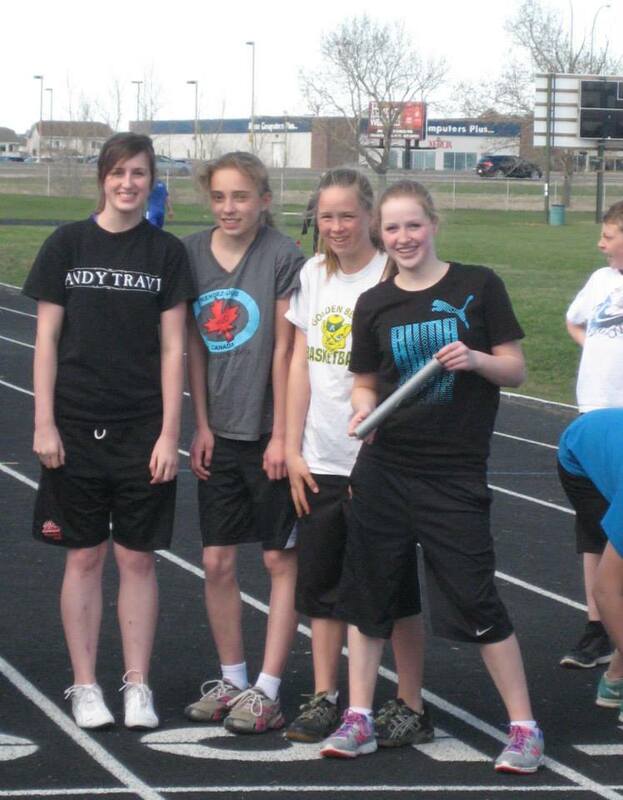 The 4 x 100m relay is always a highlight at the Peace Country Classic Track Meet. This year’s event goes May 9 at Legion Field. The annual Peace Country Classic all comers track meet goes May 9 at the Legion Field. With a number of changes to the program, this year’s event promises to be bigger and better than ever. Athletes of all ages and abilities will take part. At the other end of the age spectrum, the Peace Country Classic is proud to be hosting the NW Zone Trials for the 2015 Alberta 55+ Games, which will be held in Strathmore in July. The main part of the meet features a full menu of track and field events with categories for Junior High, Senior High, and Open athletes. A 5000m race has been added to timetable for 2015. Full details about the meet are linked on the Wolves Athletics Club website (www.wolvesac.com). The registration deadline is Wednesday, May 6. This entry was posted in Outdoor Track and Field, Uncategorized and tagged Alberta 55+ Summer Games, Alberta Senior Games, Athletics Alberta, GP Kids Meet, GPRC Wolves, Grande Prairie, Grande Prairie Kids Meet, Hershey Track and Field, NW Zone, Peace Country Classic, Track and Field, Wolves Athletics Club, Wolves Cross Country Running. Bookmark the permalink.